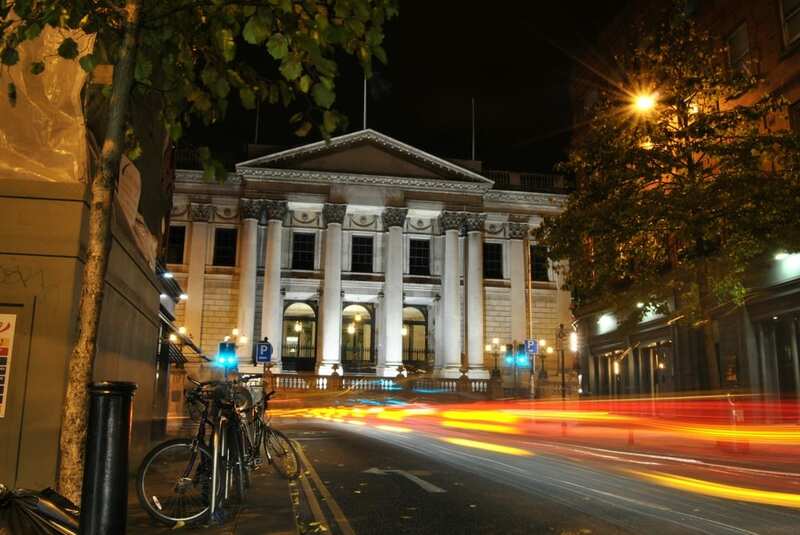 Dublin 2 encompasses most of the city centre on the South of River Liffey and has plenty of exciting things to offer. Read on if you want to know more about Dublin 2 and its hidden gems. One of our favourite Georgian squares is most definitely Merrion Square. Only a short stroll from the city centre, it has plenty of fun sights and activities to offer. The National Gallery of Ireland is situated here (free admission) and has stunning expositions to look at. The Department of Taoiseach, Oscar Wilde’s house and the Merrion Park are other attractions you should look at. In Summer, several festivals are hosted such as City Spectacular and if you’re lucky, you’ll stroll through the park on a Thursday and be able to try out some food truck specialties. Book your stay with us at the Davenport Hotel on Merrion Square Dublin. We all know it – we all love it. Dublin is well known for its many pubs (about 700 to be clear) and Temple bar is the place to go to if you’ve never been to one and are up for some live music and riverdance. On Saturday evenings, this is the place to grab a bite, a Guinness stew or fish& chips are tradition, have a few pints of Guinness and start dancing. However, during the day Temple bar area is also a wonderful place to walk through as it features very old but beautiful pavements, second hand shops and food markets (Saturday mornings). 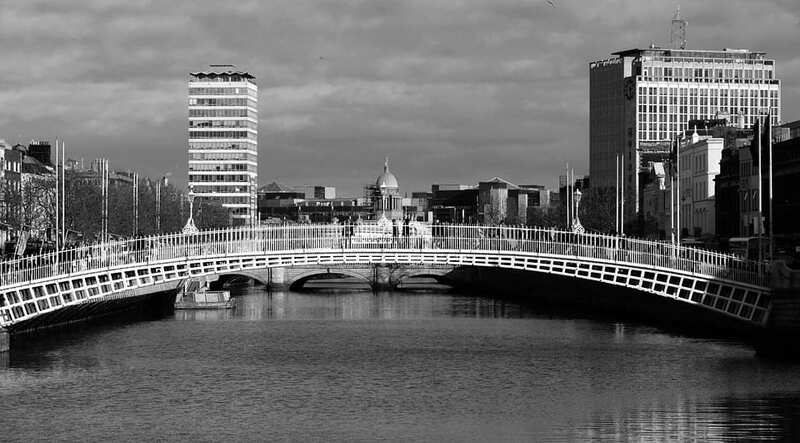 Only a few steps away and you’ll reach River Liffey and its historical Ha’Penny bridge. Shopping, singing, eating and drinking – that’s what people do when they visit Grafton street, one of the most famous shopping streets in Ireland (so famous that Ed Sheeran sings about it). If you’re on a hunt for a new pair of shoes or a great t-shirt, this is the place to go. Terraces can be found in side-streets to sip a glass of vino (The Bailey, Bruxelles) and most likely you’ll cross come street artists showing off what they got. A relaxed atmosphere is promised! Dame street is a very busy area of Dublin 2. Buses – cars – bikes – people & more people. Walking around there is coupled with being careful. However, the street has plenty of great sights and places to offer: Trinity college is just off Dame Street and absolutely worth a visit as it’s almost 400 years old. 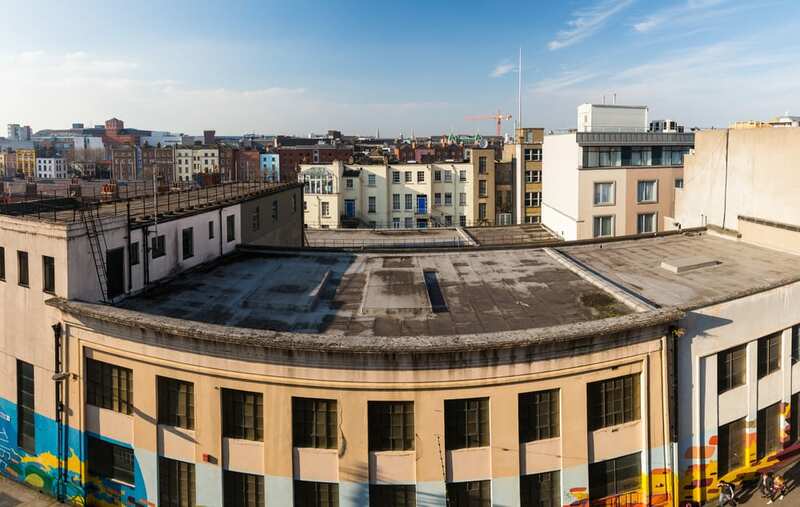 Its location is perfect as it’s between Temple bar area and the Molly Malone statue. Good restaurants such as The Ivy or Toscana settled down and Mercantile or the Bank are perfect for both a drink and a bite. Dublin Castle and the Gate Theatre are perfect visitor attraction or ideal if you like watching plays. Fun to eat out, have a drink or go clubbing is most definitely Harcourt street. Known by many locals, it’s always worth a stop by. Good restaurants such as Bunsen – the best burger in town – and Las Tapas de Lola attract many youngsters each weekend. Great places are the new trendy cocktail bar The Jar or Opium if you like clubbing. Not far away from the city centre, it’s ideal to grab a cab and go home or to your hotel. 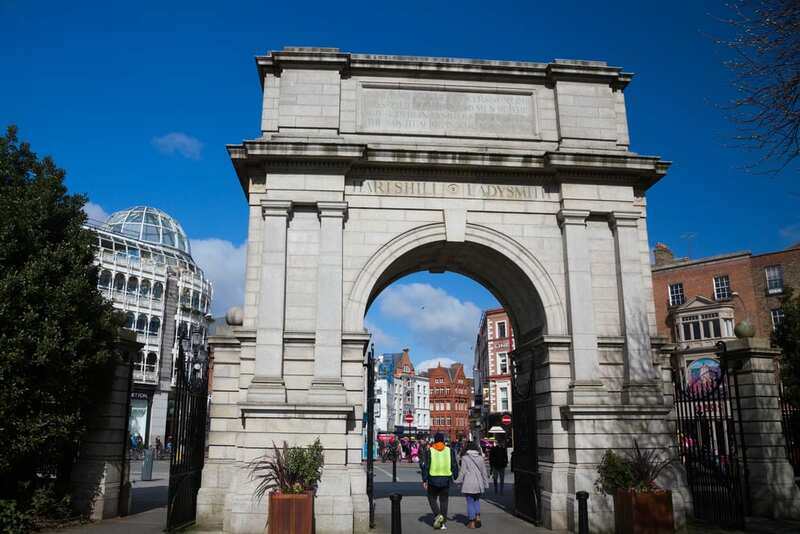 Our Stephen’s Green Hotel is ideally located in Harcourt street and only a short stroll away.